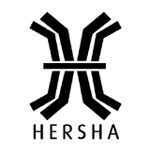 Hersha Hospitality Trust (HT): Insiders Are Buying, Should You? Is Hersha Hospitality Trust (NYSE:HT) the right investment to pursue these days? Prominent investors are taking a bearish view. The number of bullish hedge fund bets dropped by 4 recently. According to most market participants, hedge funds are viewed as worthless, old investment vehicles of the past. While there are more than 8000 funds with their doors open at present, we at Insider Monkey hone in on the aristocrats of this club, around 450 funds. It is widely believed that this group has its hands on most of the hedge fund industry’s total asset base, and by keeping an eye on their top equity investments, we have unearthed a number of investment strategies that have historically outperformed Mr. Market. Our small-cap hedge fund strategy outpaced the S&P 500 index by 18 percentage points per year for a decade in our back tests, and since we’ve started sharing our picks with our subscribers at the end of August 2012, we have outperformed the S&P 500 index by 24 percentage points in 7 months (see the details here). Equally as key, optimistic insider trading activity is a second way to break down the marketplace. There are a number of reasons for an executive to downsize shares of his or her company, but only one, very obvious reason why they would behave bullishly. Plenty of academic studies have demonstrated the market-beating potential of this strategy if piggybackers understand what to do (learn more here). With these “truths” under our belt, it’s important to take a glance at the latest action regarding Hersha Hospitality Trust (NYSE:HT). Heading into 2013, a total of 5 of the hedge funds we track held long positions in this stock, a change of -44% from one quarter earlier. With hedge funds’ capital changing hands, there exists a few key hedge fund managers who were increasing their stakes considerably. According to our comprehensive database, Alydar Capital, managed by John Murphy, holds the biggest position in Hersha Hospitality Trust (NYSE:HT). Alydar Capital has a $4.5 million position in the stock, comprising 0.4% of its 13F portfolio. On Alydar Capital’s heels is Israel Englander of Millennium Management, with a $4.4 million position; less than 0.1%% of its 13F portfolio is allocated to the company. Other hedgies that hold long positions include Jim Simons’s Renaissance Technologies, Cliff Asness’s AQR Capital Management and J. Alan Reid, Jr.’s Forward Management. Because Hersha Hospitality Trust (NYSE:HT) has faced declining sentiment from hedge fund managers, it’s safe to say that there lies a certain “tier” of hedge funds who sold off their entire stakes in Q4. Intriguingly, Ken Heebner’s Capital Growth Management cut the largest stake of the “upper crust” of funds we monitor, worth close to $36.8 million in stock., and D. E. Shaw of D E Shaw was right behind this move, as the fund sold off about $0.7 million worth. These transactions are interesting, as total hedge fund interest fell by 4 funds in Q4. How are insiders trading Hersha Hospitality Trust (NYSE:HT)? Insider purchases made by high-level executives is at its handiest when the primary stock in question has seen transactions within the past half-year. Over the last 180-day time frame, Hersha Hospitality Trust (NYSE:HT) has seen 1 unique insiders purchasing, and 6 insider sales (see the details of insider trades here). Let’s also review hedge fund and insider activity in other stocks similar to Hersha Hospitality Trust (NYSE:HT). These stocks are Retail Opportunity Investments Corp (NASDAQ:ROIC), Saul Centers Inc (NYSE:BFS), Inland Real Estate Corporation (NYSE:IRC), Ramco-Gershenson Properties Trust (NYSE:RPT), and Pennsylvania R.E.I.T. (NYSE:PEI). This group of stocks belong to the reit – retail industry and their market caps match HT’s market cap.